I noticed the Canada geese are returning to work, or at least hanging around outside my workplace. I work in an industrial part of town with lots of warehouses. There are some water reserves with fountains up the street from us where they also congregate, but the geese love to linger about on the empty lawn in front of our building. I wish I knew their fascination with this part of town. But seeing them is a sure sign that spring isn’t far away. I’ve even seen babies in the spring time! There was a nest on top of our building once. 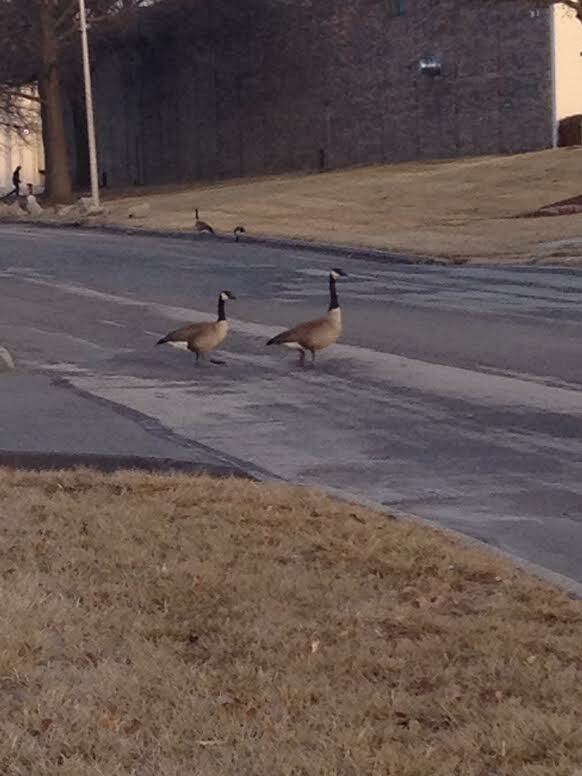 Either way, seeing them makes me think spring, and also a reminder to tip toe through the goose poop in the parking lot.